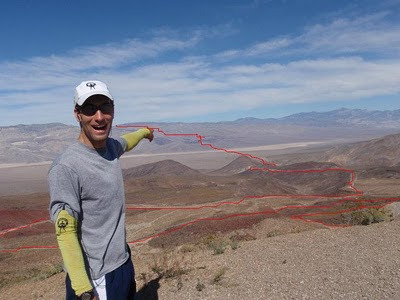 Trail Running Southern California - Joshua Huber Photography from Joshua Huber on Vimeo. KD and me did a video for a company that ended up not buying it.. We got some free gear and some footage, so here's the result to Florence and the Machine - The dog days are over.. The song (as usual) is awesome to run to. Check it out. I decided I really should count weeks from Monday as the spanish do, to give a better picture of my weekends. (for the record, last sunday was 14 along the bikepath). 13 up westridge AM, down mandeville paved. Ankles didn't like the pavement shift. Badwater, 22 (mi 58-60). Long downhill was slow, but good 8mi climb FCP in 1:23. Another comfortably long week. 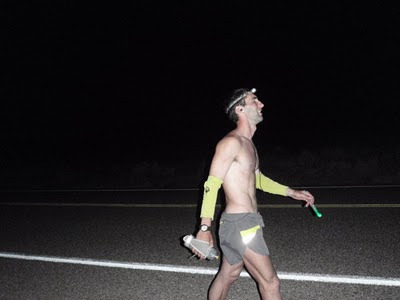 Hitting the 100 mile mark each week around 5-6 days in doesn't hurt much, and on the whole, I still feel like my muscles have a ways to go until they get into that really sore level of training. My left ankle took a bit of abuse between running down Mandeville paved road in my mt100's on Thursday (we got lost), and running 75 on the roads this weekend. The lunar glides I've been running in have over 1,000 miles on them, and still performed quite well as far as support and comfort for 55 of my 75 on the weekend. 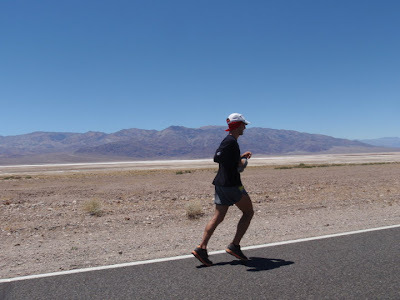 I shifted to the saucony tangent for the climb up Towne Pass which felt great to climb in it's lightweight cushion, but I think the last in the Lunar Glide kept things more secure and stable, and will be my main shoe for the flats and descents at Badwater. On the whole, I'm pretty happy with my training right now. The endurance part of the equation is going well. 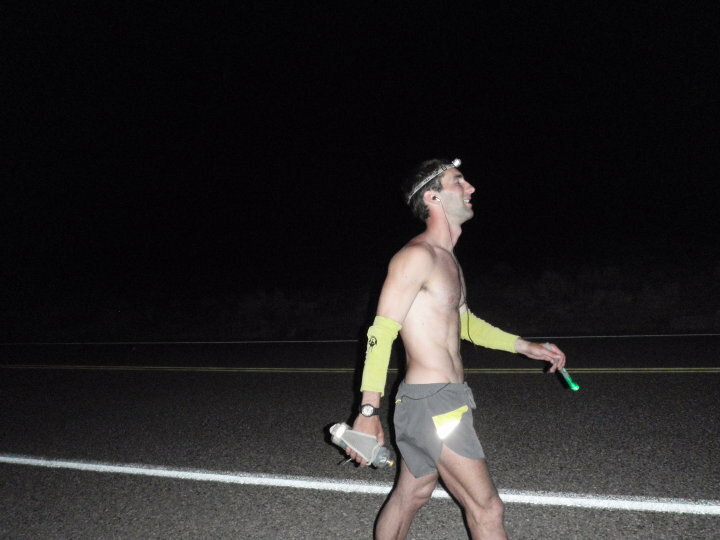 The heat at Badwater isn't everything, but it can take you out of the race if you don't get a handle on your fluid intake/output by Stovepipe Wells. With that said, Sauna time is going to become a top priority as we wind down into the last month before the race. All in all though, I'm glad to be where I am now. End of Day 1: Towne Pass 53 miles done.